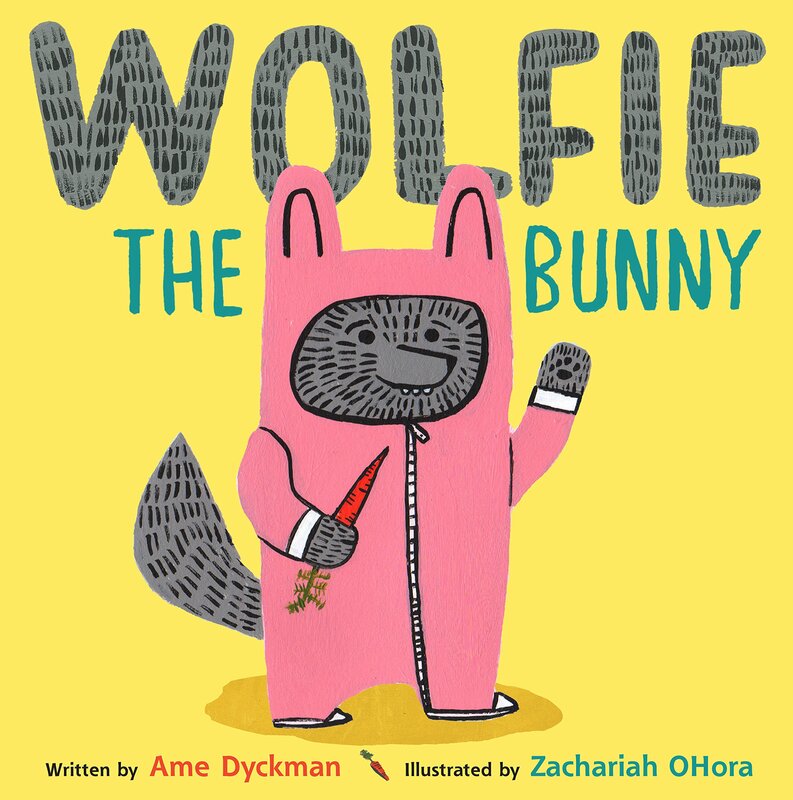 Wolfie the Bunny by Ame Dyckman, illustrated by Zachariah Ohora. Frankly, this books is the reason I decided to do a “family” themed storytime. It’s about Dot the bunny, who’s wary about the presence of her new brother…a wolf! The humor in this may be a little off-kilter, but I just LOVE Dot’s attitude. The kids enjoyed this book, but I’m not sure they were into it as much as I was. I think next time I use this I will try to amp up the drama even more, between Dot’s fear of being eaten and her parents’ complacency. I also think I would like to talk a little more about the beginning of the story about new siblings, and what makes a baby wolf so unusual in a bunny family. 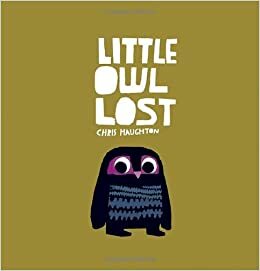 Little Owl Lost by Chris Haughton. I picked this to go along with my family theme–it’s the classic story of a little animal trying to find his/her mother. This was probably the kids’ favorite book. Haughton hides little details in his illustrations, and the kids think all the different mommies are hilarious. 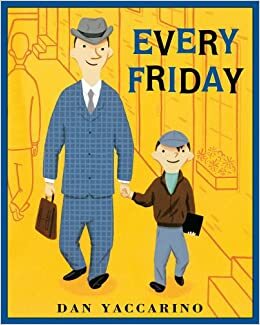 Every Friday by Dan Yaccarino. This is a nice calm book for the end of a storytime, about a boy and his dad. During the story, I like to talk about things that the kids do with their parents–go for walks, eat pancakes. The trick with this one is to make sure the kids are paying attention at the beginning of the storytime. I had a couple of classes where the kids were too amped up and distracted to focus on the book. Popcorn kernals, popcorn kernals, in the pot, in the pot. Shake them, shake them, shake them, till they pop. These are Grandma’s glasses. Make “glasses” over eyes with fingers. This is Grandma’s hat. Place hands close together over head. These are Grandpa’s glasses. Make “glasses” over eyes with fingers. This is Grandpa’s hat. Place hands farther apart over head.